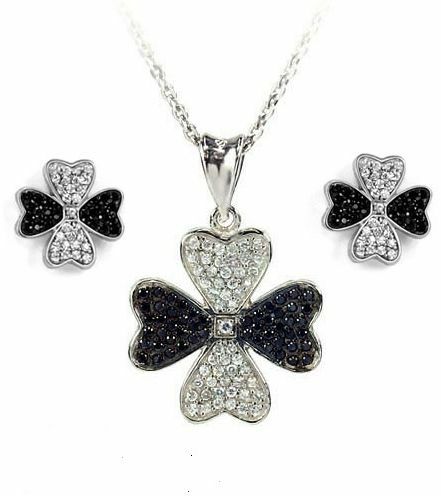 This beautiful jewelry set will add colors and style to your distinct fashion style. Featuring a delicate connected hearts with encrusted sparkling clear and black crystal pave. Crafted in 925 sterling silver rhodium finished with AAA Cubic Zirconia stones. Great for adding a classy touch to any look.